I recently reported on a Colorado school district that can’t account for funds from an asbestos lawsuit settlement. The lawsuit happened so long ago that school officials are fuzzy on its details. But these types of lawsuits became common starting in the late 1980s. At the time, school districts across the country began suing asbestos manufacturers to get money for costly asbestos abatement. It wasn’t long before many won large damage awards like the $6.8 million awarded under City of Greenville v. W.R. Grace & Co.in 1986. I suspect that most school districts that received awards have kept a close eye on their abatement projects. At least I hope so because they can land in hot water for failing to remove or contain asbestos in old school buildings. During the early 1980s, school districts began worrying about being sued if they didn’t respond to asbestos hazards properly. And for good reason, because some school districts ended up as asbestos lawsuit defendants alongside asbestos manufacturers. In some states, former students and employees filed lawsuits alleging asbestos hazards in school buildings. Some plaintiffs said that exposure to asbestos on school property caused them to develop asbestos-related diseases like mesothelioma. Others sued to force schools to perform asbestos abatement. For example, a group of teachers at Brooklyn’s Clara Barton High School filed a class action on behalf of all students and staff. 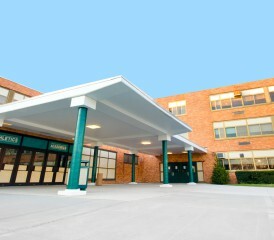 After renovation work released asbestos fibers, school officials announced that the school could be closed indefinitely. The teachers asked the court to order an asbestos cleanup so that the school could reopen as soon as possible. In 1987, a judge closed the school down temporarily so abatement crews could work around the clock to remove asbestos dangers. Some 2,400 students were sent to other schools. In 1982, the Environmental Protection Agency (EPA) adopted regulations requiring schools to inspect for friable dust. Before 1982, not all schools were aware of the dangers of damaged asbestos. But once they EPA issued its regulations, they had not excuse for failing to handle asbestos properly and warn students and staff about exposure hazards. As a result, they could face legal liability for putting people in danger. They can also get in trouble with their state health department if they act irresponsibly. For instance, in 1998, the state of Minnesota sued one of its school districts for exposing students to asbestos hazards. The lawsuit came after months of investigation by public health workers. Investigators discovered that students were present while asbestos-laced tiles were being removed from the gym. Pewaukee school district employees allegedly knew that about the asbestos, but failed to perform abatement tests or warn workers and students. As a result, the school faced undisclosed fines. Penalties may have reached as much as $25,000 for each of the eight days asbestos violations occurred. In May, the Illinois Department of Public Health announced plans for an $18,000 fine of the Lake Zurich School District 95 for 18 violations of state asbestos abatement laws. At least one of the schools involved improperly removed asbestos-laced tiles. The department and school district agreed to reduced fine of $7,500 last month. Despite asbestos abatement regulation, many will still develop injuries because of exposure in schools. In fact, today there is still a high occupational risk for teachers developing mesothelioma and other asbestos-related diseases. If you were a teacher in an old school building, consider talking to your doctor about monitoring your health.